Edward Louis Moore Fitz-Patrick (Eddie) was born at Hady House in Chesterfield England on February 18, 1895, and was the youngest of Bob and Carrie's five children. 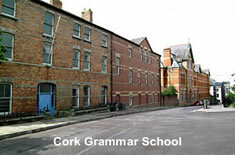 Eddie attended school in England until his mother's death in 1904, when he was sent to boarding school(Cork Grammar and High School) in Ireland until he graduated in 1913. Upon his arrival home after graduation he was offered passage to Canada, which he accepted, finding he would not be afforded the opportunity of acquiring post- secondary education. Edward became a farmer upon his arrival in Ontario, Canada in 1914 and migrated to Winnipeg, Manitoba when work became short in Ontario. His farming career was interrupted because of a decision he made to enlist in the Canadian Army, which he did on Dec 4th 1916. After training in England, Eddie was sent to fight in France and Belgium and was wounded in action in October of 1917 during the Canadian's successful assault on Paschendale. He was awarded one gold bar for bravery for continuing the fight after an initial shrapnel injury, before the blast that sent him to the hospital in Albertville. Eventually he was invalided to Winnnipeg. After being released from the hospital in Winnipeg in 1918, 13 months after being wounded in action, he went back to farming and eventually became a Millwright. In 1925 he married Nellie Binner. The following year Nellie gave birth to a son: Eugene Rowland Fitz-Patrick*. 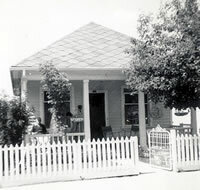 In 1930 Edward bought a house in Calgary in which to raise his family, and lived there the rest of his days. Edward's life is not only highlighted by his status as a decorated war hero, and family man, but I would be remiss not mentioning he became a noted and well respected philatelist, who was deeply involved in the hobby until he was hospitalized in 1968. Edward was also beloved grandfather to Ross Lindsay and Michael Mark Fitz-Patrick. Edward was raised and remained a Christian until his death, worshipping at the Church of England in Fitz-Patrick tradition. Edward passed away from Emphysema in the Colonel Belcher Veteran's Hospital in Calgary on Sept. 27 1969. *** E.R. (Gene) Fitz-Patrick passed away on August 16th 2005 at the Royal Jubilee Hospital in Victoria British Columbia following by-pass surgery. He is fondly remembered and sorely missed by his wife Myrtle, and sons Michael and Ross.